Savourea proposes you to discover their brand West Indies: a collection full of exotism which offers you different fruit cocktail recipes with tropical flavours. Do you need a vacation? The West Indies will make you travel to sunny destinations. 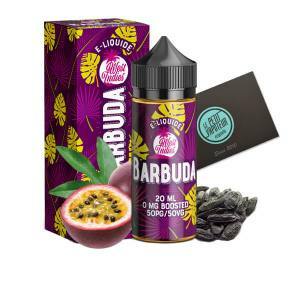 Each West Indies E Liquid recipe is inspired with paradisiac images situated in Caribbean Islands such as: Guyana, St-Lucia, Antigua and even Jamaica. 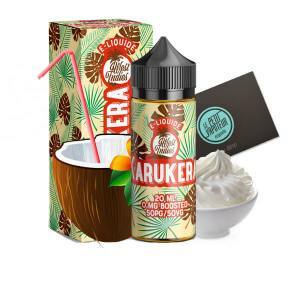 So relax and drink a refreshing and fruity cocktail with the West Indies E Liquid. An original recipe composed of "Haired Lychee" and Yuzu.. excellent sweet citrus fruits. The West Indies E Liquid is confectioned by Savourea. Each West Indies e liquid is available in 20ml and condtioned in a 30ml bottle. Without nicotine, each West Indies E Liquid is in 50/50 PG/VG and ready to boost. Find the beautiful fruity flavours, full of exotism such as the: Antigua West Indies with Lemongrass, Ginger and Lime aromas. The Karukera offers you Coco Punch aromas, sweet and smooth. The Anguilla E liquid is a cocktail which is a mixture of Kythera Prune, Guava and Carambola. The Jamaica is a real Ginger Wine. With Guyana you will benefit with a mixture of Haired Lychee and Yuzu. Savour the delicious Passion Fruit accompanied with Tonka Beans with the Babuda. To finish you can discover the Mada West Indies, with a Tamarin Punch sometimes sweet and acidic.